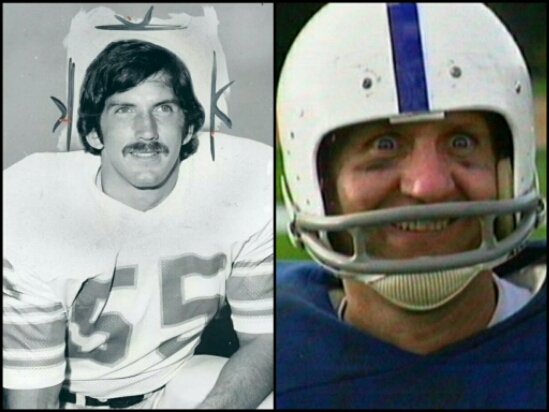 STEELERS HISTORY TRIVIA: Ed O’Neill/Al Bundy Almost a Steeler | "IT'S A STEELERS WORLD"! As if we didn’t love him enough already. The youth today may know TV’s Ed O’Neill from the show “Modern Family”. Others more my age knew his as, Al Bundy from “Married..With Children”. And even older fans will remember O’Neill as a rookie with the Pittsburgh Steelers. Then again..even the most die-hard Steelers fan probably has no idea that O’Neill, once a defensive end at Youngstown State University, was signed as an undrafted free agent by the Steelers in the summer of 1969. O’Neill didn’t last long –- he was cut on July 21. No surprise. Not only was he an undrafted player, but the Steelers drafted the likes of Joe Greene and L.C. Greenwood that year. Anyway, after cleaning out his locker, O’Neill explained, he went to the nearest pub to drown his sorrows. And as he did, the TV behind the bar showed the real news of the day: Neil Armstrong walking on the moon. Sorry it took so long to get back to you. Sure you can.